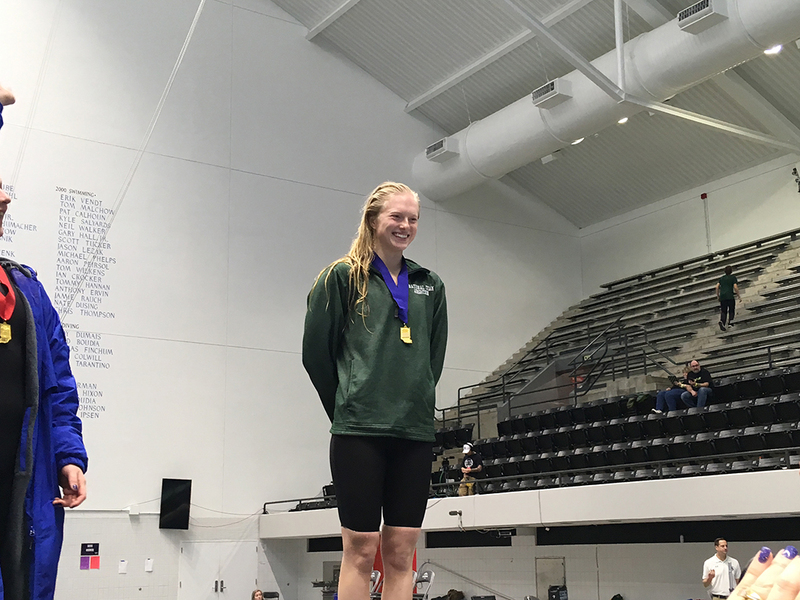 Zionsville Community High School swimmer Tessa Wrightson capped her senior season in a fitting fashion. Wrightson won the 100-yard backstroke in 54.02 seconds during the Feb. 10 IHSAA Girls State Swimming and Diving Finals at the IU Natatorium at IUPUI. She was the fastest in prelims, too, at 54 seconds flat. Wrightson finished third in the 50 freestyle and was on the 400 freestyle relay team, which placed sixth. Her relay teammates were seniors Claire Brewer and Vic Thomae and freshman Elyse Heiser. The same four were on the eighth-place 200 medley relay team. As a junior, Wrightson placed second in the 50 freestyle and third in the 100 backstroke. As a sophomore, she was fourth in the 100 backstroke and eighth in the 200 individual medley. She was eighth in the 100 backstroke as a freshman. Wrightson signed in November to swim for Purdue for the 2018-19 season. “The campus felt like home, and the coaches and teammates really welcomed me,” Wrightson said. Wrightson competed in the Phillips 66 National Championships and World Championship Trials at the IU Natatorium last summer.